Please note that the phrase “18 year sentence” was a metaphor, referring to a sentence of words, not a prison sentence. 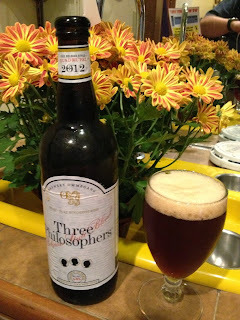 That evening I got my favorite beer, “Three Philosophers” made by Ommegang Brewery. It’s a beer you sip, not “throw back,” worthy of the occasion. So, if I had known then what it would really be like, would I have done it? • 365 days ago, I thought I’d start seeing patients some time in December, then open up in full at the start of the year. I ended up waiting until Feb. 5 and spent twice what I expected to get my office done. • 365 days ago, the one area I expected no problem was the computer system. 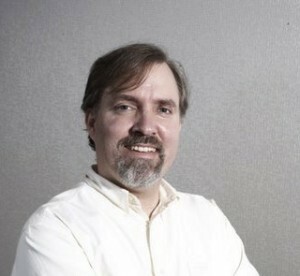 I had worked with EMR products for 16 years, getting a national reputation for physicians using EMR successfully. EMR, it turns out, is so closely tied to the payment system I left that I gave up after trying multiple systems, eventually choosing to build my own system. • 365 days ago, I expected my 18 years in practice, and my patient-centered style would overcome my patients’ caution at embracing a different system of care. Their fear of change, it turns out, is quite strong; while the majority of my patients have come from my old practice, the number who have followed is much less than expected. • 365 days ago, I expected to remain on good terms with my old practice. I am still surprised and disappointed about that one. The biggest difficulty came when I realized I couldn’t use an EMR and had to build my own system. I realized that going with a standard EMR would have two huge negative consequences: I would not be able to give the quality of care I wanted to give, and I would always feel the same “out of control” feeling that plagued me at my old practice. But building my own system (if it was even possible) would have an immediate consequence: I would need to devote enormous time and effort to build it, limiting the growth of the practice and resultant financial stability. The choice to do the harder thing, building for the long-term, has meant my personal income has dropped far more than expected. There’s no danger of the business itself going under, but paying bills at home has been quite an adventure in faith. This is no surprise to anyone who has started a business, I’ve since learned. It’s a rite of passage, a hazing, a gauntlet to be run. This is like basic training in the military, a time of pain and sacrifice that separates the pretenders from the truly dedicated. It’s not fun. 365 days later I can echo my own words: It’s really scary. But I don’t regret this path at all. On a personal side, I have learned huge lessons of faith and perseverance. Good ideas alone don’t make for success; there is a price in blood, sweat, and tears that forge the metal, turn the rock into a gem, turn the canvas and paint into art. I’ve learned to disregard extremes of emotion, knowing that bad days are followed by good, and good days don’t prevent future bad ones. The key is to not over-react to situations that push you to panic or celebration. Panic leads to bad decisions, while excessive celebration leads to disappointment. The best place to live is in the middle. Satisfaction is better than celebration, and panic can be extinguished by determination. On the medical front, I’ve learned what people want most: to communicate. Far more than promises of fancy websites and care plans, people are thrilled at the simple fact that I answer the phone. They need to be heard. For the previous 6,570 days (18 years) I focused on the paying customer: the person in the office, so the phone was a burden, an enemy. Over the past 365, this burden and enemy has become my greatest asset. I listen. I talk. I connect. This is the care that people are missing, and the thing they value the most. My goal for the next 365? I’ve got lots of ideas. I want to improve communication, put better tools in the hands of my patients, become better organized (having someone besides me running the business would be nice), focus on education and outreach, and put medical records more and more in the hands of the people to whom they really belong: my patients. But my real goal is simple: survive, improve, grow (in that order). Thanks to everyone who helped me over the past 365. When things get good enough I might just buy you an Ommegang.